Running a business is stressful. You need to go out and win clients, win projects and follow through on the promises you make to those clients. To deliver top quality service and product. The last thing you want to be thinking about is the accounting and bookkeeping side of your business, but the truth is, you must. 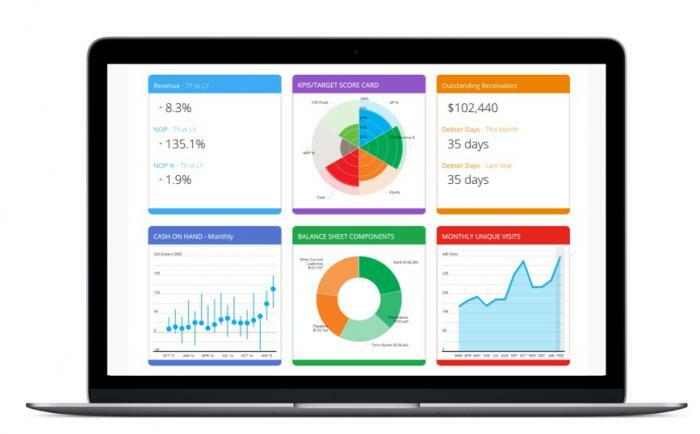 You need to look at the financials coming in, identify financial trends in your company, spot where cash isn’t flowing, detect new opportunities and use all this data to set tangible goals. If financial data is murky and unclear, it’s hard to make the decisions that will take your business to a successful place. To keep your company moving forward. Spotlight Reporting is a tool that will show you where you’ve been, where you are and where you’re going financially. With Spotlight, you’ll go from passive business owner to a proactive one, empowering financial advisors, accountants and CFOs. Under the Spotlight Dashboard and Spotlight Reporting tools you get an instant snapshot of how your business is performing. You’ll have hard data to act upon and you’ll know exactly where to focus your energy and time, all the time. 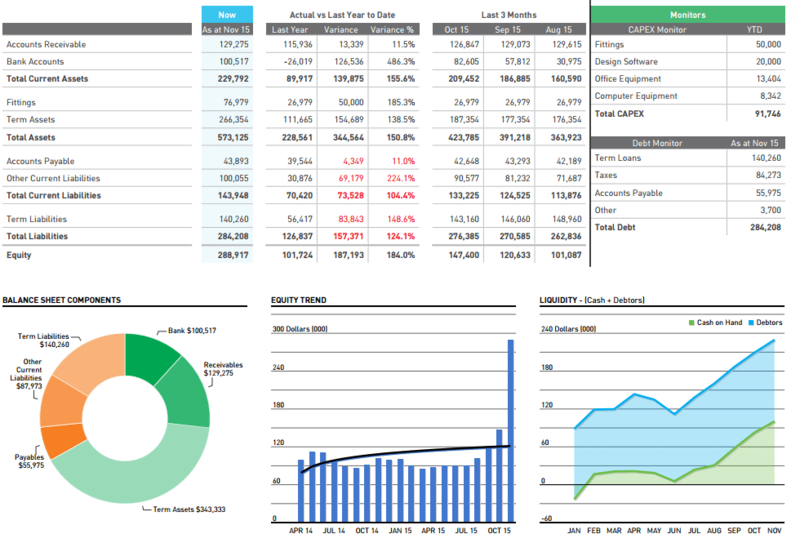 The Spotlight Dashboard tool offers high-level data to stimulate discussions between yourself and your partners. For any company to succeed, company members need to agree on direction. With the Dashboard tool, you’ll be able to get everyone on the same page. When you want to go deeper, the Spotlight Reporting tool lets you take the plunge. Reporting the actual finances of your company against budgets? Customise your charts, cater for intercompany eliminations and multi-currency via drag-and-drop functionality. Spotlight Reporting’s ease of use will give you the clarity you need to make all the right choices as your business moves along. And if you’re an accountant, you can consolidate up to 50 client organisations into one combined report. The key to a successful business is forecasting. To be able to predict and see things before they happen. The Spotlight Forecasting tool will give you this ability. It is simultaneously a budget creation tool and a three-way forecasting tool (in which you see profit and loss, check your balance sheets and forecast cash flow). If you want to create ‘what if’ scenarios to see how financial numbers going up and down in your business will effect your long term goals, it’s possible. With this tool you get insight on what would happen to your business in a best-case AND worst-case scenario. You’ll be able to make plans accordingly and further ensure the success of your company. Spotlight Reporting integrates with Xero and QuickBooks Online but importing financial data from other accounting systems such as MYOB works just as well. Non-financial data from Google Analytics, Workflow Max and even Microsoft Excel can be imported too. We’ve trained many business owners into understanding the power of clarity that comes with Spotlight Reporting and they’ve never looked back. If you’re interested in learning more about Spotlight Reporting, we’d be happy to give you a demonstration. Just get in touch via the button below. A 28 DAY FREE TRIAL IS AVAILABLE.